When man started learning how to make primitive tools during the Bronze Age, it quickly took us to a whole new level of innovation. We suddenly went from using bulky unreliable stone tools to having axes, razors, and chariots. With the Iron Age that was to follow, we got tools like the plow, sickle, and civilization as we know it. 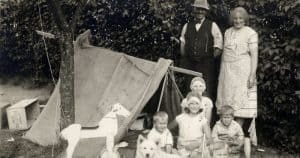 Considering how much we rely on metal tools, it should go without saying that blacksmithing is one of the most important survival skills to know. I learned to weld and forge in a professional workshop. The temperature was easily controlled and I had a slew of tools at my disposal for shaping and cutting metal. Even with this knowledge under my belt, I still found it really difficult to make things on a DIY forge. Controlling the temperature is a lot harder. 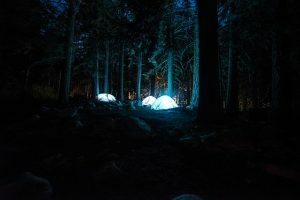 It is also going to require a lot more patience to forge with a DIY metal furnace because you don’t have a torch for quickly heating up parts of the metal. Nor do you have those wonderful grinders for getting clean, sharp edges. 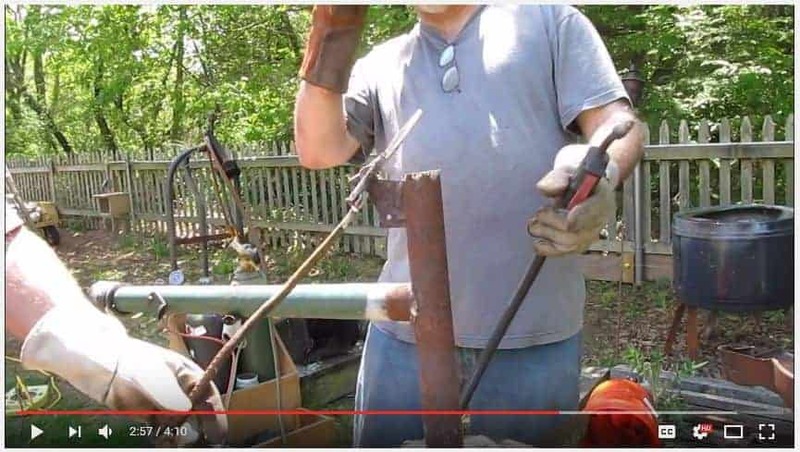 So, I’d recommend that you first go and learn welding and forging from a professional before you try any of these DIY setups. 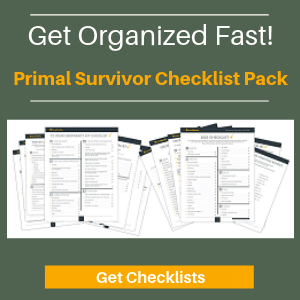 There are probably a lot of workshops that you can take. Sometimes community colleges even offer metalworking classes. Once you’ve got some basic knowledge, then you can try a DIY setup. Steel melts at 2750 degrees F. That is a really high temperature! Luckily, you don’t need to get your forge that hot. You want to keep the temperature under 2500 degrees F for steel so it doesn’t just liquefy on you. 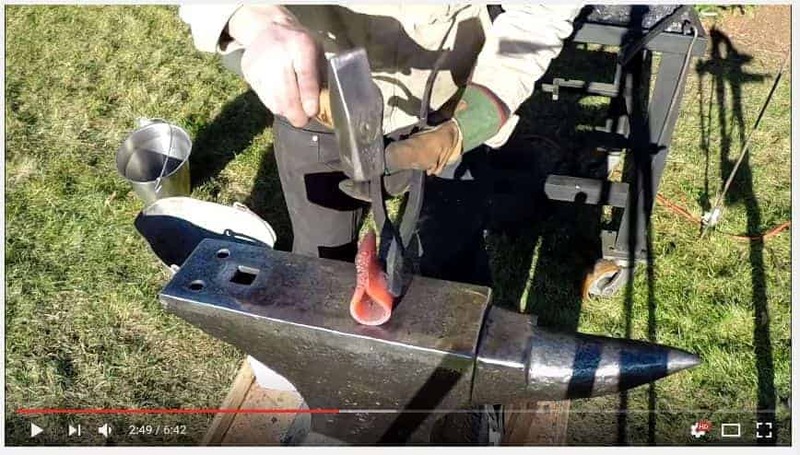 This blacksmithing website has a great guide to the temperatures at which steel melts and the color it turns at that temperature. 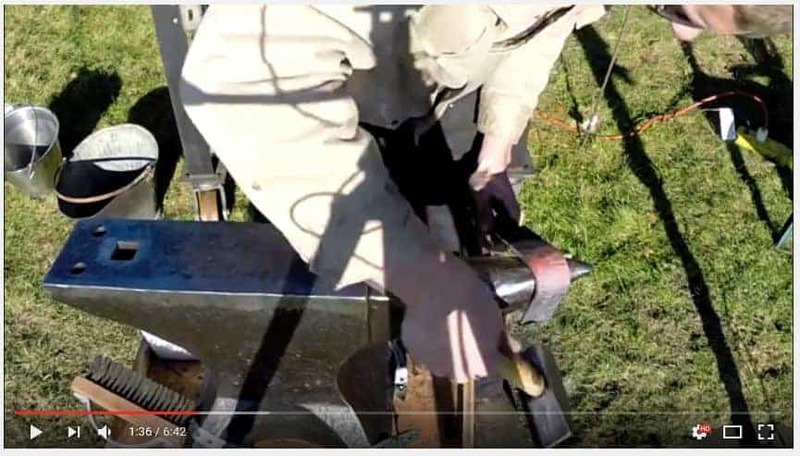 Of course, you don’t have to use steel when forging your DIY axe. 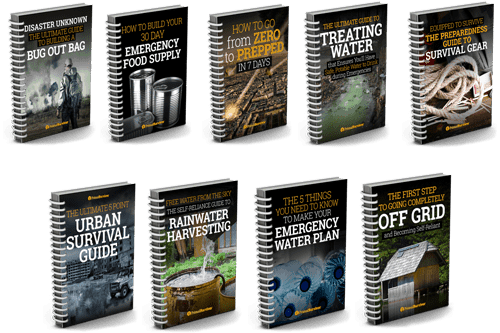 You can also use other types of metal, including ones that start melting at lower temperatures. Aluminum, for example, melts at a low temperature of just 1220 degrees F. It isn’t going to be nearly as strong though. Usually aluminum is used for casting and not forging – which is something I will talk about in a future post. You’ll need a pair of strong grips or tongs for holding the metal you are forging into an axe. You don’t want your tongs to start melting when they touch the scrap metal you are working on! Some people just hold the scrap metal with gloved hands, but that only works if you’ve got a long piece of metal so the end you are holding isn’t transferring heat from the furnace. In short, you’ll need tongs to make your own axe. An anvil is what you put your metal on top of while you are working on it. The anvil needs to be very heavy so it can withstand all the hammering you will do on top of it. 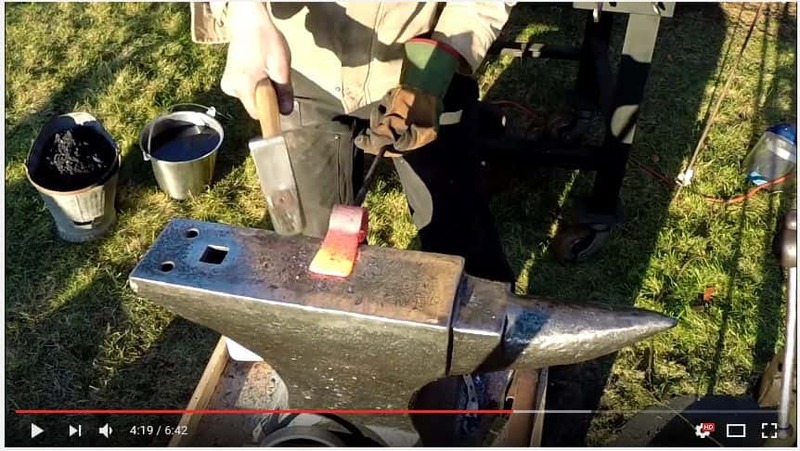 If you don’t have your own anvil, you can make own out of a piece of railroad. You’ll need this to bang the heated scrap metal into the desired shape. Anything else which is strong and applies force will also work. Check out blacksmith hammers on Amazon. 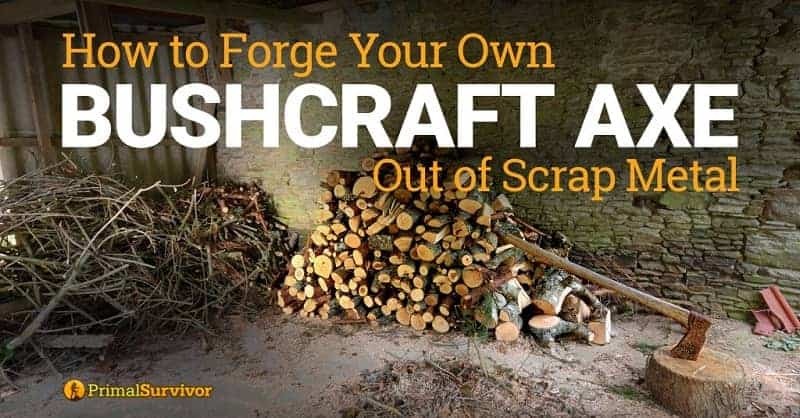 Don’t want to make your own forge? For a forge to get metal hot enough to make it molten, it needs fuel and air. Modern forges use gas. However, you can also use coal or even charcoal for a DIY forge. It won’t be as easy to control the heat, but it will (eventually) get the job done. Fire Pot: This is a round basin which is tough enough to hold hot coals. 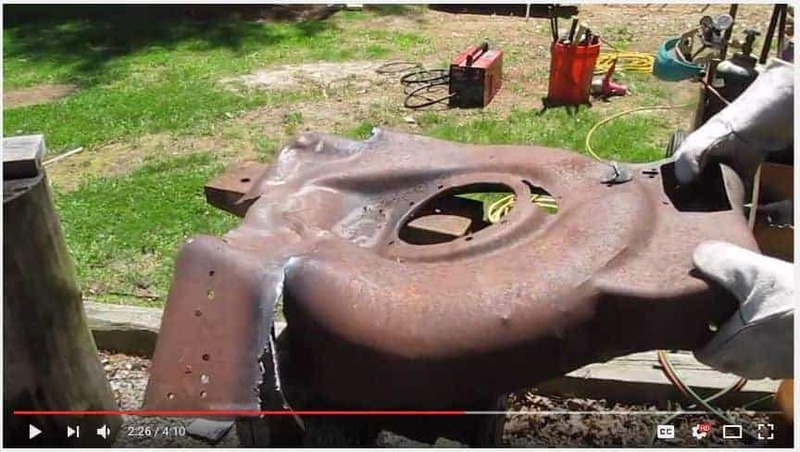 In the video below, he uses the bottom of a lawn mower which has been hammered into shape. 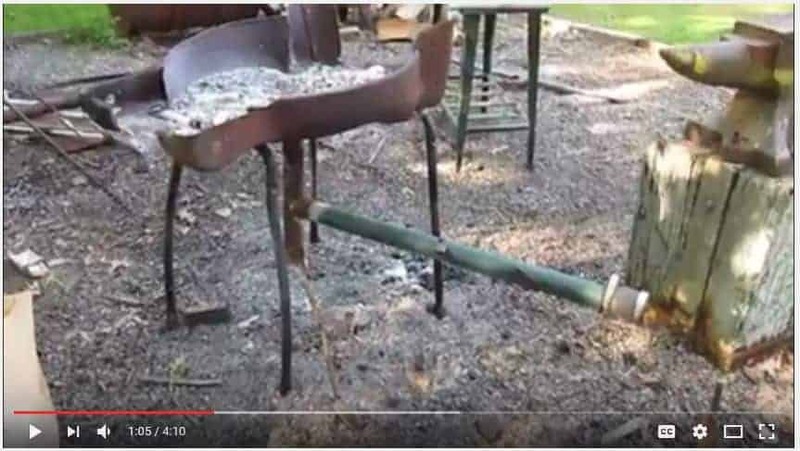 I’ve also heard of people using BBQs as their fire pots, but you’ll have to drill holes through them for the tubes. A tube for ash drainage: You’ll probably need some mesh wire to put over the ash drainage pipe so your coal doesn’t fall out. Coal or charcoal: Yes, charcoal can work! Moving air: This is usually accomplished by hooking a pipe up to the forge basin and then hooking a hair dryer to it to blow air in. 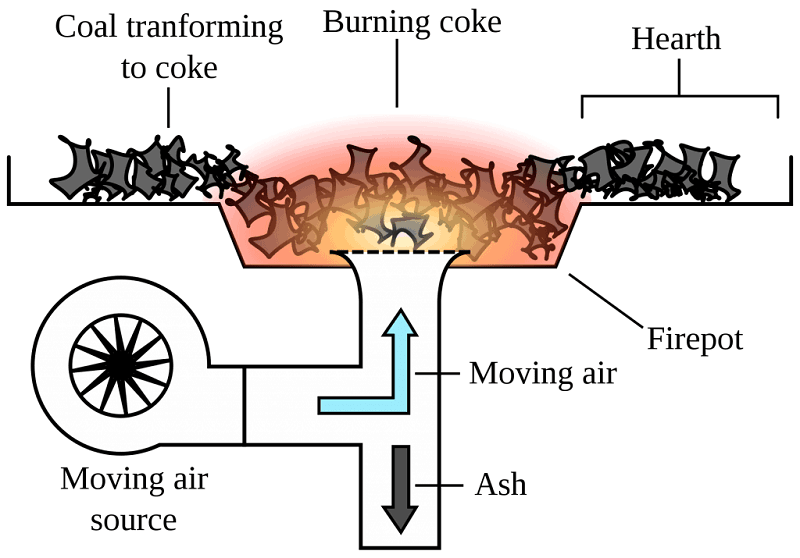 The moving air is important for getting the coals hot enough to melt metal. The downside with his method is that he had to weld a lot of the parts together. 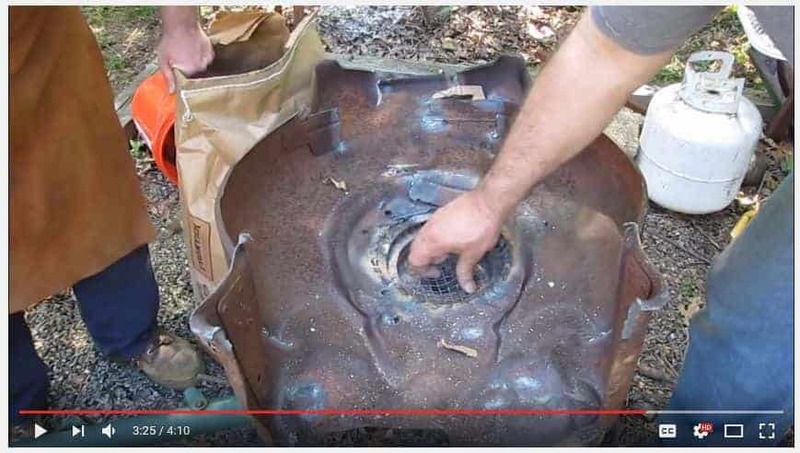 If you don’t have a welder or it is a complete SHTF survival situation so you don’t have any tools, then you’ll really have to improvise how to make the forge. This is what the forge looks like from beneath. See how they made a cap on the drain pipe to better control air flow. You’ll need a lot of mesh screens to put over the ash drain pipe. You’ll need new screens for each time you use the forge. Now that you have your forge made, you can start using it to make tools like an axe. The first thing to think about is how will you connect the axe head to the handle? All tools from olden times have a hole where the handle would go through. This was very convenient. 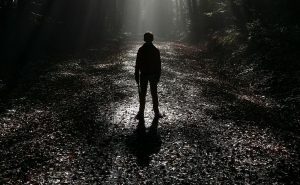 If an axe head (or hammer, etc.) broke, they could just slip a new one onto the old handle. Thus, all the tools used the same size handle hole. There are a few other ways to attach an axe head to a handle. However, the “hole’ method is still the best. It will ensure that your axe head doesn’t go flying off. 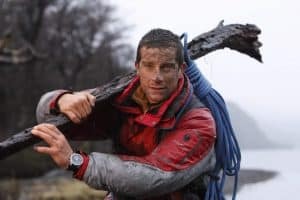 Remember that the connection between the axe head and handle takes a lot of pressure. You don’t want the connection to be weak! *Keep the handle in mind when choose your scrap metal for the DIY axe. You might find some scrap metal which already has a hole in it which could be used for the handle. This would save you a lot of work! Hopefully your anvil has a pointed “horn.” You bang a strip of heated metal around the horn to form a circle for the handle hole. In this video, you can see how it is done. 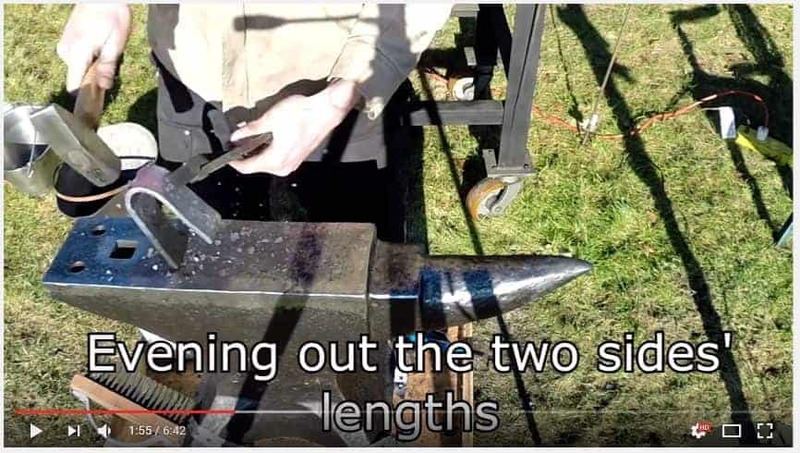 He’s actually making a hatchet, but the same techniques apply. 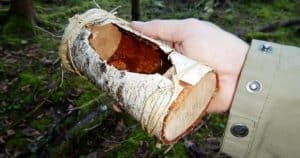 There are many different types of axe you could make, so adapt the general techniques as required. Now you hammer the sides into a sharp, pointed cutting head. You are almost done! 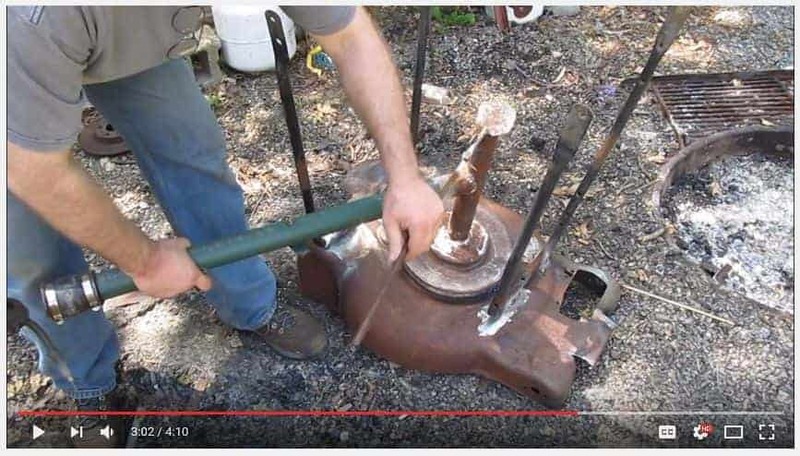 Have you ever tried DIY forging? How did it go?